of the other 9 Awesome designers below. amazing and talented list of designers. Not to mention this very important cause. 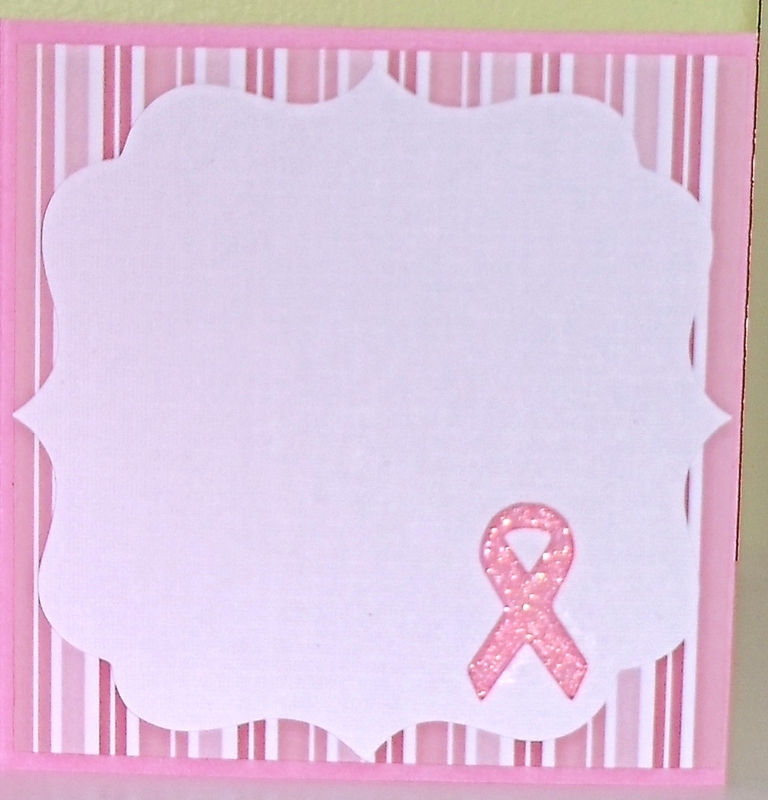 Pink Ribbon die cuts for cuttlebug / bigshot! Did I mention I have blog candy to give away too? I bet your mouth is watering just thinking about it. Here are my projects for your enjoyment. after all of this hopping. Leave a comment on this post! and post them Sunday the 17th. Love all your cards! "Stamp out breat cancer" is my favorite. Lost a friend 5 yrs ago to breast cancer. Still miss her. I'm a new follower and looking forward to visiting again! Great cards. 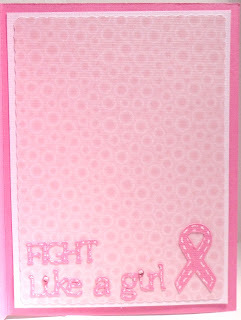 My favorite is stamp out breast cancer! I am a follower of your blog! I love all three cards! I am a new follower. 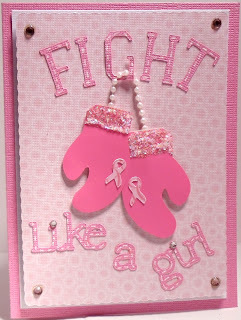 My next door neighbor was diagnosed with stage 4 breast cancer 5 years ago, thank goodness she is now healthy. This cause is near and dear to me!I did my mammogram last month, don't forget ladies to do this for yourself and your loved ones! Love your cards. They all mean so much. Thanks. Love the Heels! Classy inspiration. Love these cards!!! I am a new follower and I too have a friend who thankfully is a survivor. Great cause! And I do my mammo in July...super important! Thanks so much! Luv luv luv the card with the shoes! And all of them really! The blog hops are so fun. Not sure how to deal with the blinkie but will figure it out. Love your cards!!! 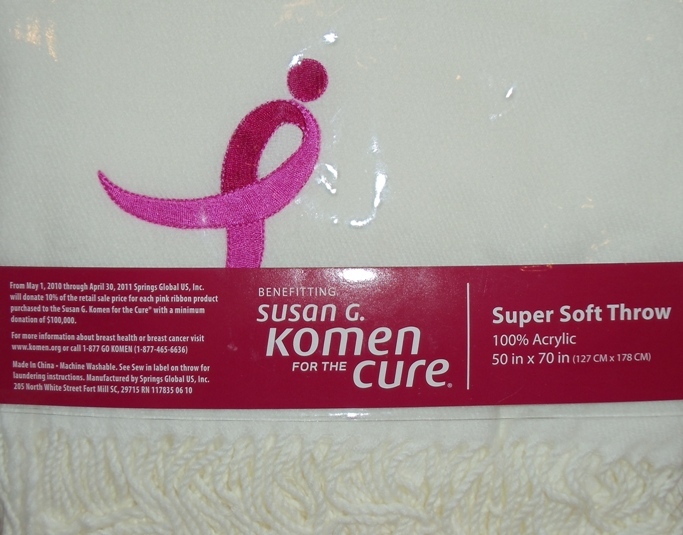 Thank you for talking about mammograms - just had mine done last week --- it really isnt that bad!! All your cards are great. There is no way to decide which is my favorite..they are ALL wonderful! Thanks for sharing your wonderful cards. I'm a new follower and trying to figure out how to get your blinkie on my blog. Will probably have to get my daughter to do it for me. Oh I just found your blog from this blog hop, and am so excited! I love your cards, and am a new follower. Thanks for sharing! All of these are great, but my favorite is the Stamp out Breast Cancer! OMG! I love your cards.. love your blog... what beautiful gifts you are giving away.. I am now a follower - thank you for sharing. My mamogram is scheduled for 10/22 @ 9:30 a.m.! I love all of them-----you are so creative.Thanks. Wow!! GReat cards!! Love all of them!! Great cards! I am now a follower of your blog! Great project! Love the pearl string holding the gloves together - tough yet feminine....just like the women in my life! Great job! Cards are great. Really like the high heels hoes one. Thanks for the chance to win. Those cards are amazing! My favorite was the last one! Love it! Thank you for being a part of my hop! You Rock! OMG!! I love ALL of your cards!!! You are Awesome! Thanks for sharing with us! I'm loving your cards and how they all fit together. TFS. Awesome! I Love your cards! sorry I thought I was a follower, I'am now. Love your blog. I have a project ready for posting next week for breast cancer awareness. Hope you can come check it out. Adding your blinkie also. Great job on the cards. I think my favorite is card number 2. Thanks for sharing. I lost my Grandma 3 years ago to cancer so this is near and dear to my heart. I am a new follower and just added your blinkie to my blog! Love your cards! I'm already a follower! Thanks for sharing! Very nice cards. You gave me some ideas on some cards I have to make. I don't have that cartridge but I figure something out. I got my mamogram done last month. I posted on facebook to all my friends to go out and theirs done too. Thank you so much! I love your cards! 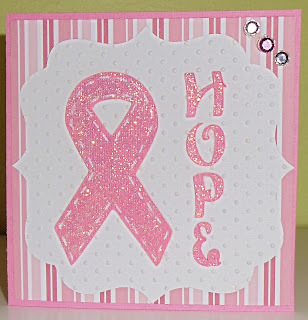 I always try to donate and support breast cancer. This blog hop is perfect. I am loving it and loving all the awesome projects! I will be a life long follower. Love your work, thanks so much for sharing! Your cards are amazing! I would have to say that #2 is my favorite. I'm supporting breast cancer because my Mom is a survivor of two years cancer free and this means a lot to me that yall are doing this for everyone out there. Super big hugs to you all. Your cards are amazing!!! 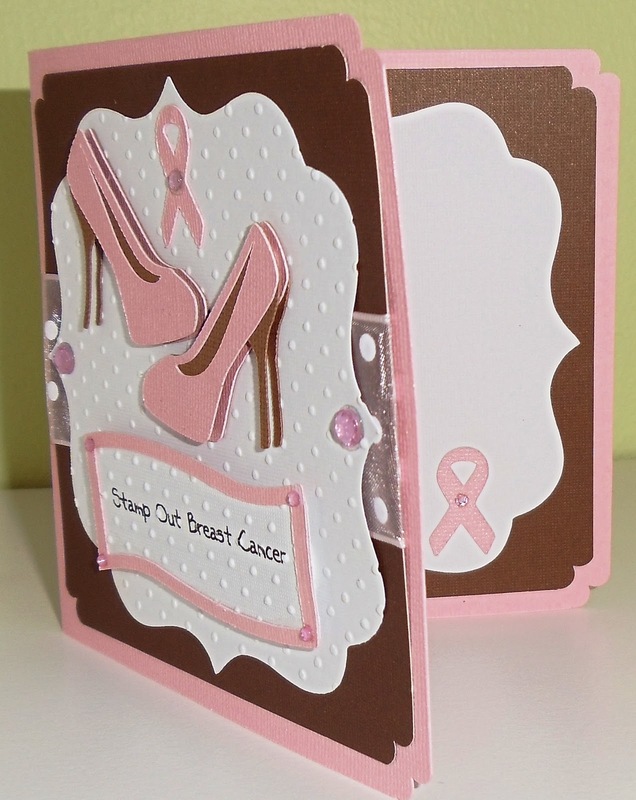 I just love the Stamp out Breast cancer card w/ the high heels. Best card ever!!! loving the blog = will follow but don't know how to post the blinkie - i'll work on that today! Great prizes for a great cause!!! Thanks! What a crafty inspiration! Thanks so much!! Oh my goodness, your cards are so great. You deffinately got the girl power thing going here. TFS. I love all 3 cards--they are FABULOUS! I love all three of them! They are very beautiful! I simply LOVE #2. Thanks for sharing. I am a follower, but do not have a blog, so cannot post your blinkie. Hope I am still qualified. WOW love the cards the way you used the pearls to link the gloves great !!!! WOW!! What a wonderful and beautiful set of cards, for a great cause! I *LOVE* each and every one of them. Glad to see that your back. I've been missing your projects, thank you for sharing. I love all 3 cards!!!! They rock!!!!! 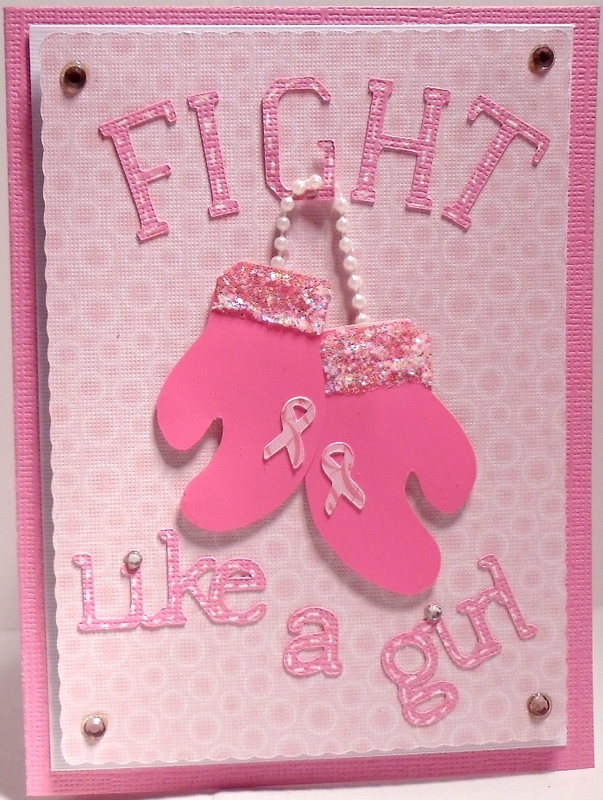 I love all 3 cards, but my favorite is the pink boxing gloves, as I am a 6+ year breast cancer survivor!! I happily became one of your followers, & my mamogram is scheduled for next March, thanks for your motivation!! Fabulous blog, noble cause & terrific cards! Truly touching. I am off to the next destination on this important & poignant blog hop. I am now a follower, I already had my mammo scheduled for next February. Best to all. 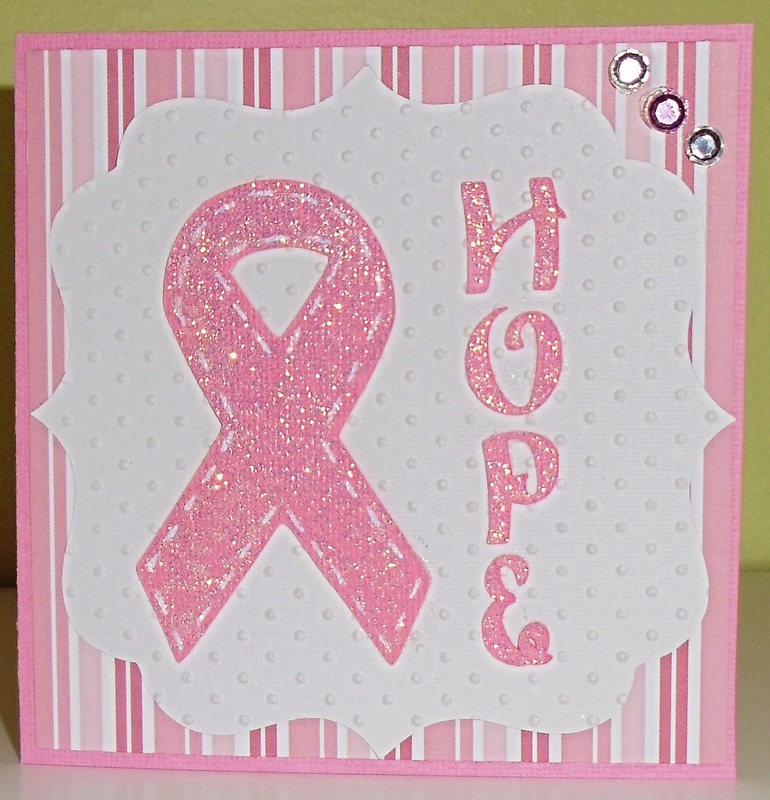 Love your cards, especially the stamp out breast cancer one! Thanks for being a part of such an important blog hop cause. I am now a follower, and I would schedule a mammogram, except I am too young. I was, however, at the doctor for my 12 week checkup for my newest bundle of joy (due next April), and I checked out there :) Thanks again! Lovely cards! I'm turning 40 next month so I will be scheduling my first mammogram. Kinda scared about that. Thanks for a chance to win some awesome blog candy!! Love the cards thanks for the reminder. and I just became a follower! Cute cards. My favorite is the stamp out cancer one. I'm a new follower. Thanks for the reminder for the mammogram. This will be my first one. TFS the cards, they're all great. Your cards are so amazing. I really like them all, particularly the one with the boxing gloves. So very girlie! Your soap box was a great one. Thanks for sharing and the opportunity to win. 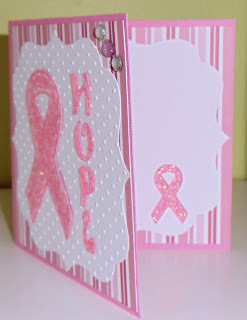 I loved all of your cards and the cause and the Blog Hop. Have a yearly mammogram.I am a new follower. I love all your cards! Thanks for sharing! I'm a new follower, and I can't wait to see more of your projects! Your cards are all wonderful. I just starting following your blog. Thanks for your participation in this hop! LOVE LOVE your cards. What did you use for the golves on Fight Like a Girl card? Was trying to find some when I made a card for my friend back in September to encourage her and her sister while they walked in the Susan G Kolman walk for a cure in San Francisco on Oct 2nd. TFS your creative ideas during this special blog hop. Love your cards; your ideas are great. I am a follower, I have my mammogram scheduled for November, don't have a blog. Hope I win anyway. I'm a follower, but don't have a blog. I hope I can still get a chance to win! OH my.. 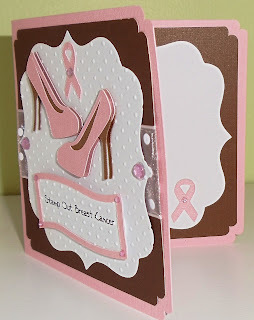 I love your cards, the heels are too cute, ad then the gloves.. what a great idea for a card. Great cards! Thanks for sharing!I'm a follower. What an excellent project! Such talent! WOW! I am now a follower....hope you can do the same! Here is the link if you are interested! I love all your cards and the blog candy is AWESOME!!! Your cards are all great but I really love the second one!!! Cute!!! !Thanks for sharing and the chance at some awesome prizes!!!! Those cards are all adorable. And I love the inside detail work too. Thank you for being a part of this hop! I have been a follower for awhile! I am just starting a blog of my own. 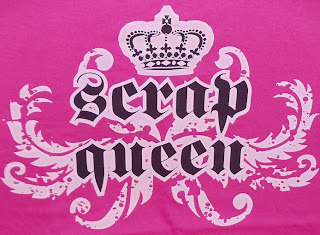 scrappinwithjackie@blogspot.com If I had a clue how to add the blinky thing I would do that right now! I think I need blog creating for dummies! I had a base line mamogram a couple of years ago and will continue to have them! GREAT HOP FOR A GREAT CAUSE!!!!! Awsome cards!!! I had my Mamo a couple of weeks ago. EVERYONE ELSE -- Schedule yours Monday!!! This blog is a great cause and you have some great blog candy as well. Thanks. I plan to get my mamo soon. Thanks for everything...the reminders and the ideas and the chance to win such an awesome prize. Wow you've been super busy haven't you. I love all of your cards. They were great. What great prizes to win too... all for a great cause!!!! That's the most important thing here. What beautiful cards! Very inspirational in more ways than 1! Thanks so much. love all your cards, very nice designs. thank you for participating, having been dxed last November this is a purpose near and dear to my heart. I love your cards and I hope I can be picked for a prize, that blankie would be wonderful! Followed your blog today and added your button to my blog! I love what I have seen so far. Thanks for taking part in this hop and bringing awareness to this cause. My mom is a 3 year survivor. I'm so proud of her but don't want to see anyone else have to watch her mom go through this! ADORABLE!! 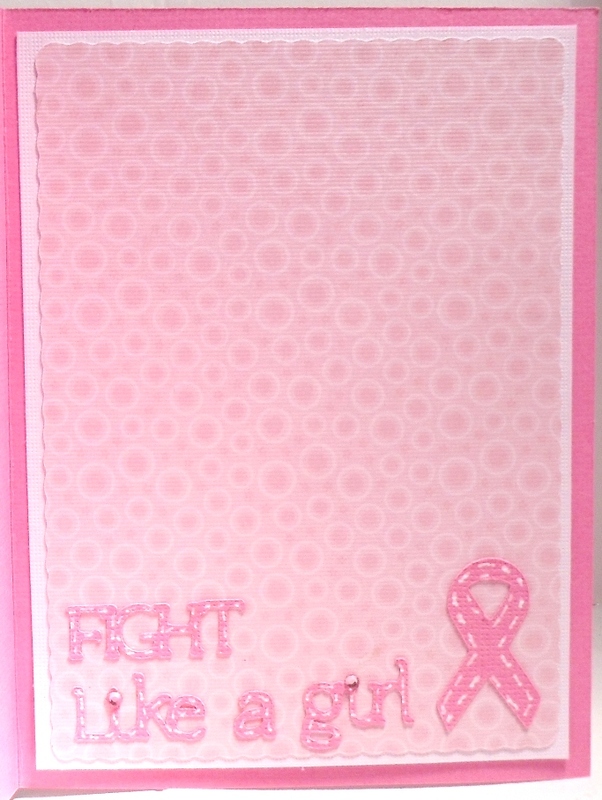 My favorite is the "fight like a girl" card. I posted your blinky on my blog and I'm a follower...thanks for the chance to win and for raising awareness. What beautiful cards! I love the mitten used as a set of boxing gloves! Thanks for the inspiration! A wonderful bunch of projects and a great group of candy prizes. Thank You for being in the hop and for chances to win such awesome prizes. All of your cards are beautiful. 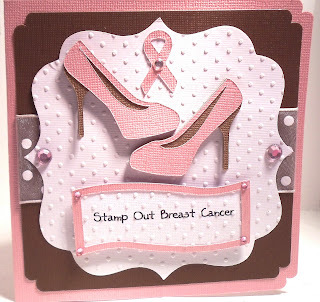 The Stamp out Breast Cancer one is my favorite.... maybe because I LOVE shoes, LOL! Very clever! I'm a follower and your blinkie is on my blog! Love your cards, they are cute and pretty too! I became a follower, and going to check into a Mammogram, I'm out of work with no insurance, but I think some place here in Las Vegas they will give me one free, but will check for sure tomorrow thanks to you! Your cards are beautiful and inspirational. 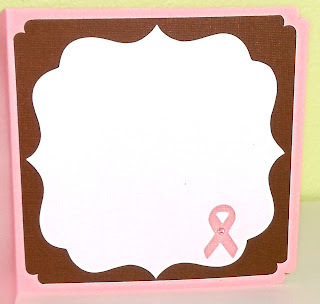 Thanks for the ideas you have given me on the final touches for the scrapbook we made for my sister in law's mother who is a 10 year Survivor! Love your cards - very inspiring, Thanks for the neat blog hop. Your cards are awesome! Love them all! Thank you for sharing and the chance to win. TFS your cards, they're great! :) AMAZING ! Martha C.
all of your cards a sooooo pretty, thanks for showing. wow! awesome cards. I can't decide which one is my favorite. TFS your cards and awesome blog candy! LOVE all 3 of your cards, but the 2nd one was especially CUTE!!! GREAT job!!! Lovin' the blog candy too!!! I love your cards -- particularly the Stamp Out Cancer. Also, your blog candy looks dee-licious! 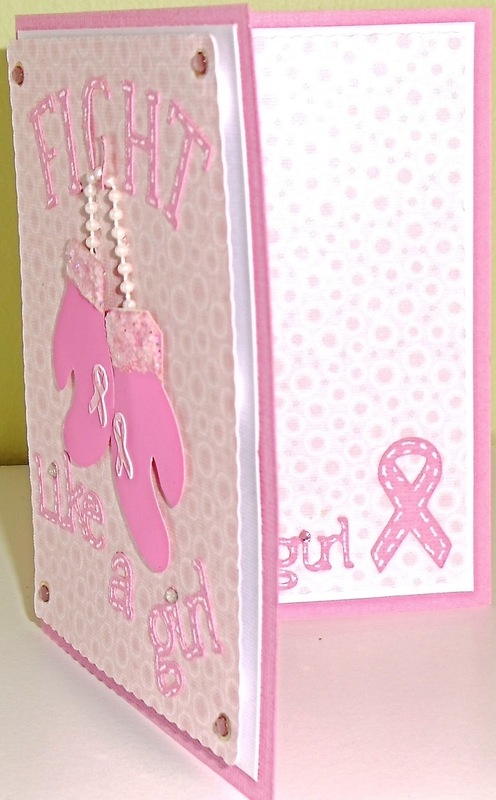 Love all of your cards, I am a follower, I post your blinkie http://kathyskreativespot.blogspot.com/ and will be having my physical this month also. Hello, just found you. I was searching out info on a Cricut machine, and landed here. I just started a blog, and am trying to figure out how I can make money, and support myself from home. I have St 4 breast cancer, and the doctor thinks I'm ready for disability. 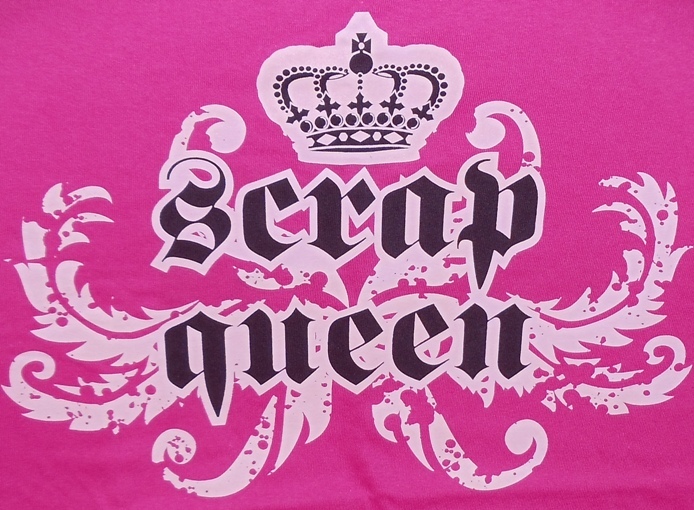 I keep wondering about a Cricut for craft designs, as I can't draw worth a crud! I love your designs, and thank you for the inspiration.